If you’re looking to gain a better sense of balance in the water while increasing upper-body strength. The pull buoy promotes streamlined body position and allows specific upper-body and core-strengthening workouts. Take your training on the go with the TYR Inflatable Kickboard. As the ideal training tool for traveling swimmers, this kickboard occupies 90% less space in your bag or backpack than a traditional kickboard. Orca's Swimrun Bungee Cord that will not only keep you and your teammate together on the course but also provide extra storage options. Made up of two race belts and a 3 metre bungee cord, one fixed and one adjustable ring on each race belt allow for both attachment to your team mate as well as attaching essential Swimrun accessories so you can keep your hands free. This pull buoy is specifically designed for practicing SwimRun. Its two side straps can easily be adjusted to the leg and placed on the outside while running. When it’s time to get into the water, simply turn the buoy so it fits between your legs, to keep them from sinking. The perfect solution to compensate for the loss of speed caused by wearing shoes. Great lightweight EVA Junior sized kickboard. Dimensions 18" x 12" x 2" approx. The Arena Pullkick is an ingenious 2-in-1. 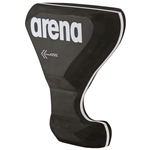 A training aid that combines the design or a pullbuoy and a board, allowing swimmers to use it as either. This means they can either train their arms first and then, straight afterwards, their legs or the other way round. The moment you enter the water with the Ergo Training Board, you will notice that this is not just an ordinary kickboard. On the contrary, it reduces and relieves unnecessary stress on your shoulders because it allows you to mimic the bodys natural swimming position. A revolutionary swim training tool for professional swimmers, Pullkick Pro is a kickboard and pull buoy all in one. Durable one piece construction. Comes in 2 sizes. 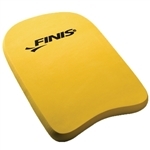 Includes one Finis Junior Kickboard and one Junior Pull Buoy. Includes one Finis Team Kickboard and one Pull Buoy. 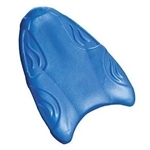 This kickboard is designed with cutouts for various hand positions to encourage proper streamline technique.Target age 2-6 years/ 33 - 66lbs. Versatile product can be used as a kickboard, pull buoy, or resistance trainer. A kickboard and pull buoy all-in-one. Lightweight and small size makes it perfect for travelling to competitions. Helps develop upper body strength and promotes good upper body positioning. Made of soft durable EVA foam. Includes one Speedo Team Kickboard and one Pull Buoy. Great lightweight EVA adult sized kickboard. Ideal for kicking drills and general training. Perfect for all ages and swimming levels. With ergonomic keyholes and a contoured design, the Finis Axis Buoy can function as both an ankle float and a leg buoy. The Junior Kickboard showcases a smaller design to decrease impact on shoulders. Engineered for children, young adults and smaller swimmers, this is the perfect training aid for practicing kicks, excercise routines and building leg strength. Built to last, our Junior Kickboard is constructed of durable, closed cell EVA foam, for extended life and performance in the water. High buoyancy, adjustable 2 piece soft pull buoy. Helps develop upper body strength and proper alignment in the water during your workout. The buoy is held between the legs to neutralize the kicking motion and increase upper body strength. Best for smaller legs or under the age of 12. The Alignment Kickboard has a hydrodynamic design that improves streamline and body position. By incorporating a stabilizing hand strap, swimmers can control the board without gripping, creating a perfect alignment from the finger tips to the toes. The Ergobuoy from Aqua Sphere replaces your traditional pull buoy and is a great training tool for working your core upper body when swimming and will immobilize your legs to create drag. The Ergo-Board is a swiming kickboard immobilizes the upper body and gives you a great core, legs and lower body swim fitness workout. The Ergo-Board is great for all levels of fitness, conditioning and rehabilitation. Features hydrodynamic design that reduces drag, ergonomic grip pads for better handling and high density material for perfect balance and buoyancy. Training device immobilizes arms and helps improve leg strength through kicking. Durable 20" X 11.5" closed cell EVA foam. Great training video available here! Colours available. By immobilizing the swimmers legs, the TYR Pull Float is the perfect training device to develop upper body and arms. It is constructed of 6" EVA foam and white and blue laminate. Click here for a great training video! Colours available.